Ar pasaugotumėte vieną kitą milijoną? 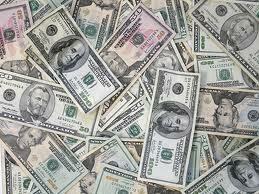 Troops found $100m and 90m euros in 31 containers, US Central Command said. I am Capt. Jerry O. Peterson, the 13th Sergeant Major for Combined Joint Task Force 7 serving in Baghdad, Iraq. (USF-I) I am on assignment here in Iraq and have some items I will need to ship to you for safekeep. Please you could check this site so you could understand what I am trying to say. This entry was posted in Bačka and tagged apgavikai, banditai, menkystos, niekšai, plėšikai, scamers, skameriai, šliužai, vagys, žulikai. Bookmark the permalink. Both comments and trackbacks are currently closed.